Welcome to Target Set Technology a specialist development engineering company focusing on increasing the quality and quantity of your potato crop yields and reducing your costs through our own unique applied technology. 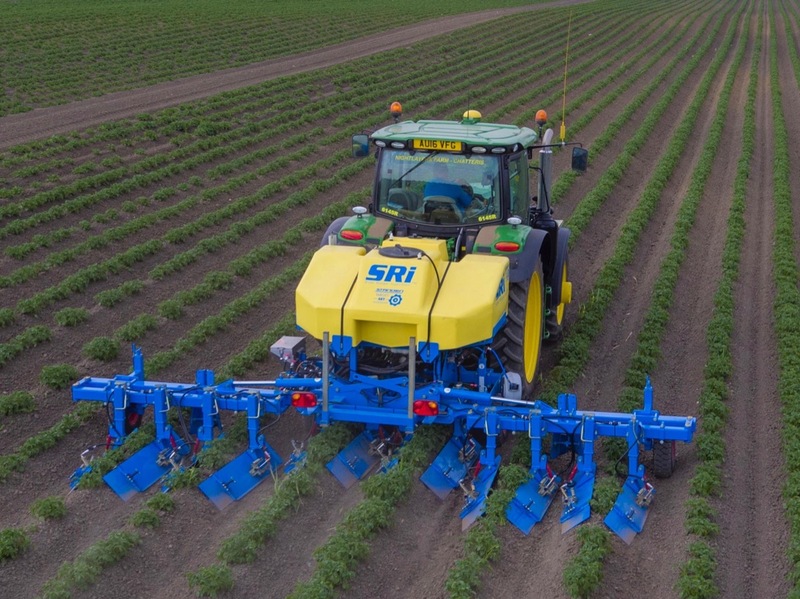 What can Side Ridge Injection™ offer Potato Growers in a late and wet planting season? 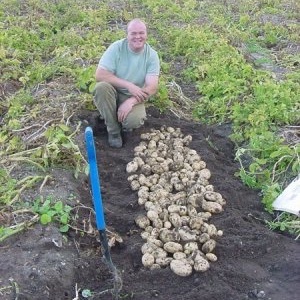 This year potato growers are facing a wet and late planting season as the effects of the spring weather continue to bite. 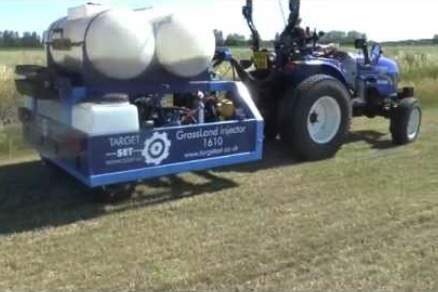 Using Side Ridge Injection™ (SRi) to apply liquid bio products, nutrients and fertiliser directly into the potato ridge root zone at a later stage than at planting can help growers solve the many problems posed by a wet planting period. We now offer a contracting service - giving you the opportunity to try before you buy! 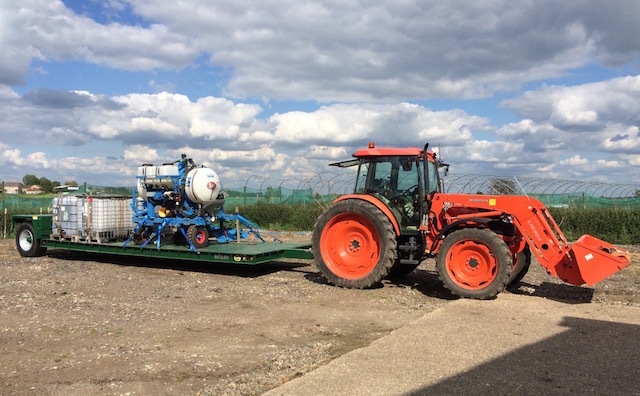 We will come to your farm and apply your chosen fertiliser to an area of your field, then later in the year we will come back and harvest 4x10m of row from the SRi injected area as well as 4x10m in the standard farm practise area so that you can see the yield benefits! We can carry out trials on your land to prove the effectiveness of our approach. Custom designed machinery capable of treating large areas per day. * Independant trials data is available. GRASSLAND INJECTION™ (GLi™) system offers a completely fresh approach. SRi Machine ready to go for trial! 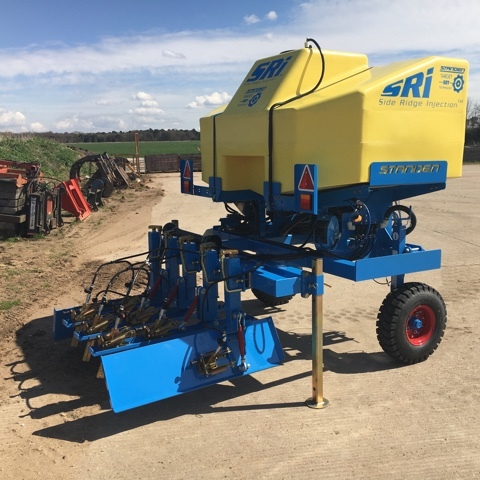 Our latest SRi machine ready to go to work on trials. We are pleased to announce we are being featured in the current edition of 'Potato Review'.